Are you sending out emails to your customer base? Are you doing it regularly? At least once a month? If not, you are missing out on a very powerful way to nurture prospects and secure repeat business. But there’s a big caveat to the above statement. For best results, your emails should be authentic. Many retail businesses — including furniture dealers — now have access to “canned” emails that they can send out with their own names attached. Sending out a pre-prepared email has the advantage of being inexpensive and fast. To be sure, they are better than not sending any email; but, unfortunately, canned content is all too easy to ignore. This is because pre-prepared content must deal with generalities and not particulars. Particulars — the details unique to your business — are what make an email interesting to open and read. A better way — and one that isn’t too time intensive — is to send out a brief email in which you share about furniture trends you are observing day-to-day. Are customers buying more neutral pieces? Or are they beginning to incorporate vibrant colors into their purchases? Are they switching things up and wanting to redesign rooms more often? 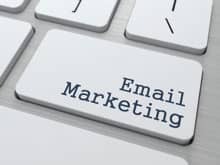 When folks realize that each time they receive an email from you, that they are tapping into your unique expertise, they will be more likely to consistently open and read it. When possible, blend into your email content milestones achieved by your staffers, like a ten or twenty year anniversary. A staffer promoted to a new position. Or a new addition to the family. Real gold will happen when you show a recent room redecorating project with pictures and a glowing testimonial from the customer. Can you see how emails like this will help you build trust with your prospects and customers? They may not have a need now, but when they do, they’ll call you … if you stay in touch. Once the email has gone out, post the content as a blog on your website, Facebook page, and your other favorite web platforms. Easy Furniture Web Tip #274: Stay front and center with consistent and authentic email marketing. P.S. If you do have access to pre-prepared content, consider using some pieces as inspiration. Add or blend in your own personal observations.